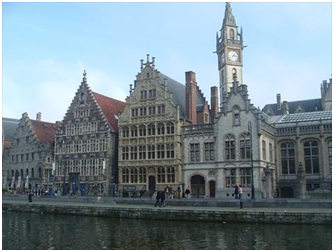 Belgium is a small, highly developed and densely populated country which Brussels is also the capital of the European Community. Nestled between France, Germany, Luxembourg and The Netherlands, Belgium is said to have the highest quality of life (or standards of living) in the world, with low poverty and high productivity, education, health care and housing. It also has a rich tapestry of history, with amazing castles, churches, works of art and civic buildings dating back to the Middle Ages. It is a bilingual country, with mainly French being spoken in the northern region of Flanders, Flemish or Dutch in the Wallonia region in the south, and both in the central capital, Brussels. 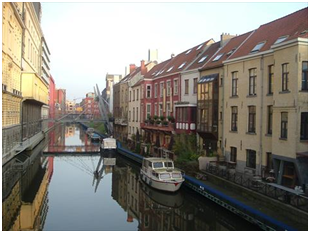 The Belgian people are very open-minded and enjoy good living and great food, drink and entertainment. This all augers well for any tourist who is looking to experience great museums and historic villages and buildings sitting side-by-side with spectacular modern architecture, while still enjoy outstanding modern and traditional entertainment and unbelievable foods - including the famous Belgium chocolates and beers. Cosmopolitan Brussels is the capital and largest urban area in Belgium. Brussels has grown from a 10th-century fortress town into a metropolis of more than 1.8 million and since the end of the Second World War it has been a main centre for international politics. Its hosting of principal EU institutions as well as the headquarters of the North Atlantic Treaty Organization (NATO) has made the city the multi-lingual home of many international organisations, politicians, diplomats and civil servants. 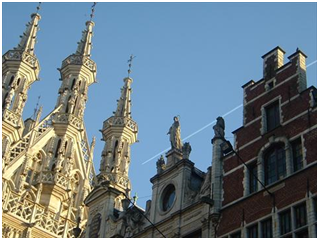 Although historically Dutch-speaking, Brussels became increasingly French-speaking over the 19th and 20th centuries. Today a majority of inhabitants are native French-speakers, although both languages have official status.